As an encore to our visit a couple years ago (who is the guy with the mustache? 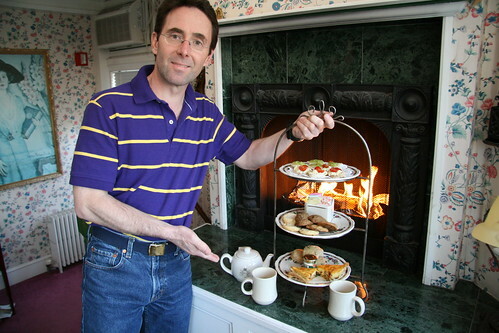 ), we enjoyed a private tea for two in our room during our yearly getaway to Newport, Rhode Island. 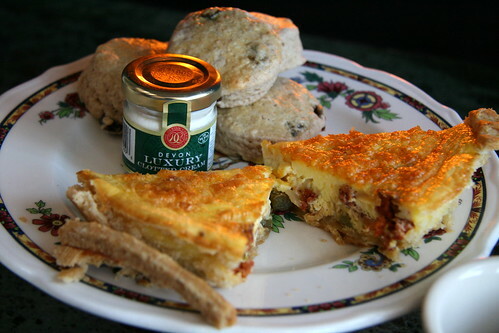 My new favorite was scones with clotted cream. Delicious! The quiche was also fantastic as always. 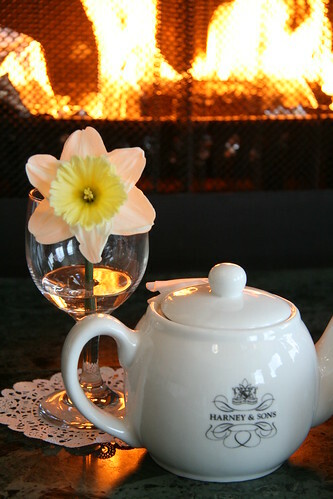 And don't forget the exquisite Harney & Sons tea all in front of the fireplace. That quiche is making me hungry! Looks like is was a very relaxing and romantic time. Now I'm VERY hungry for quiche. That looks so delicious! Looks like a great getaway! I'd love that. Well now that looks just lovely! Wow, that sounds like such a pleasant time. And everything looks delicious. Good for you! Enjoy your moment of luxury, very relaxed.